Malaysian director Ho Wi-ding is no stranger to international acclaim. Two of his short films played at Cannes where he picked up both a Kodak discovery award and young critics award but his latest feature Cities of Last Things, is his most international production to date. The movie spans decades over a man's life and focuses on three distinct moments which changed the course of his life but the triptych unfolds in reverse chronological order; opening in the future, then present and closing with the past. The trailer is cryptic and if I hadn't read a synopsis, I doubt I would ever have figured out that the three men are all portraying the same man at different points in his life but the mystery adds to the movie's intrigue. 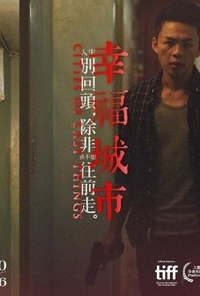 Cities of Last Things, which premiered at TIFF last year, took home the Jury Prize in the Platform section, has already played in Asia but is continuing to make its way through various festivals including an upcoming screening at International Film Festival Rotterdam.